Blue stands for increase and red for decrease in bird population. The new study predicts a sharp decrease in Africa and calls for urgent action to protect important waterbird habitats within the region. Durban, South Africa, 5 December 2018 – A new study launched by Wetlands International and BirdLife International at AEWA MOP7 today, shows that many High Arctic breeding waders and African waterbirds are predicted to suffer more from the impacts of climate change than European birds. 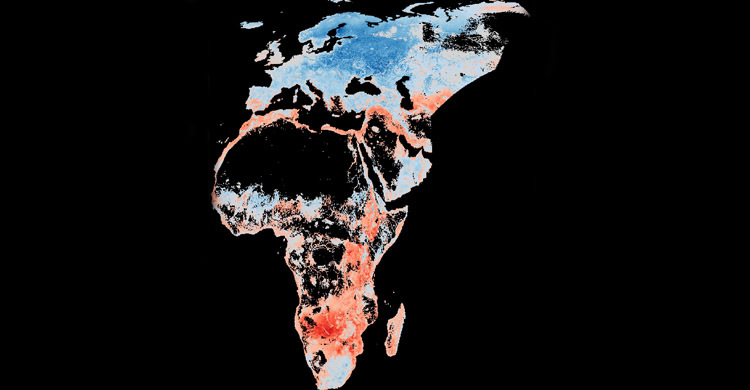 The latest climate change models reveal a disconcerting future for waterbirds in Africa, which can only be prevented through unprecedented collaboration across sectors and a strong alliance of countries committed to maintaining a climate resilient network of wetlands for waterbirds and communities across the African-Eurasian flyway.